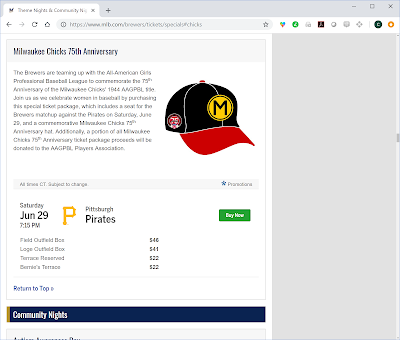 Borchert Field: Buy your Chicks Celebration tickets today! Buy your Chicks Celebration tickets today! 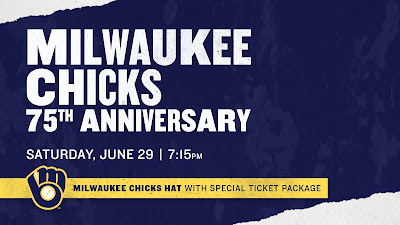 We finally got the Brewers to commemorate the 75th Anniversary of the Chicks' championship (and only) season, now it's time to buy tickets! 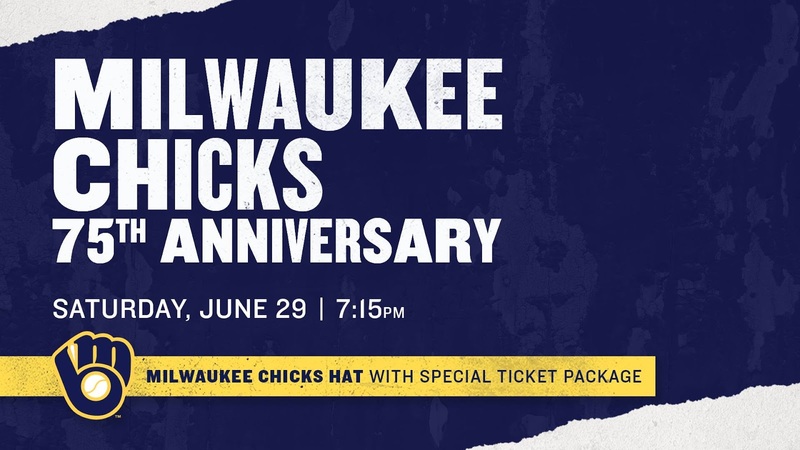 Everyone who buys the special-event tickets will also receive a free Chicks cap. I was proud to consult with the Brewers on the design; this will be the most accurate re-creation of what the women wore that's ever been made available. And check out the special 75th Anniversary logo on the side; that was created by the Brewers' in-house design team, and it's very worthy of the women it honors. The anniversary logo is based upon the uniform patch worn by the club, which was itself based on the city's seal. 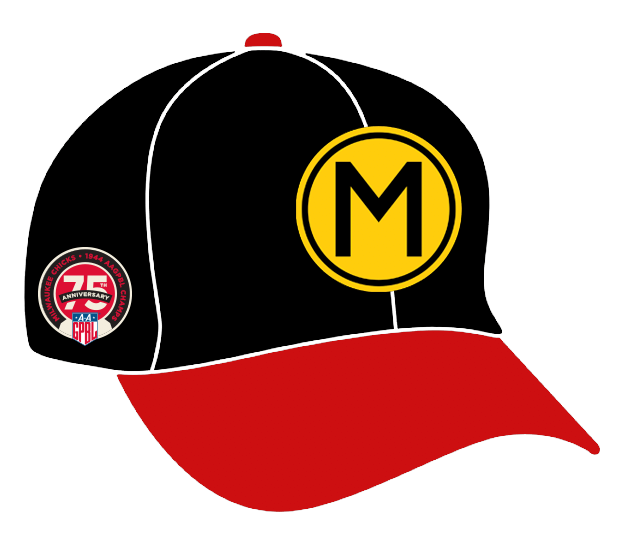 The ONLY way you will get this cap is by buying the special-event package. And the best part of the event? A portion of all Milwaukee Chicks 75th Anniversary ticket package proceeds will be donated to the AAGPBL Players Association. So get 'em now, and I'll see you at Miller Park on June 29th! On This Day - "City to Have a Team"
Vintage Brew: "Spring Fever 1947"